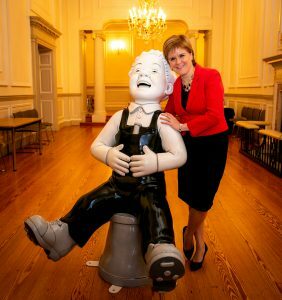 Oor Wullie’s BIG Bucket Trail is coming and everyone can get involved! 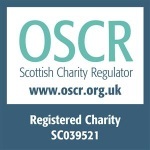 The trail runs for 11 weeks from 17 June – 30 August 2019, culminating in a series of Farewell Events and nationwide auctions in each of the five host cities – Dundee, Inverness, Aberdeen, Glasgow and Edinburgh. Scotland’s first ever national public art trail will unite the country as it raises awareness and vital funds for Scotland’s children’s hospitals, including Tayside Children’s Hospital. Artists from across the country will be commissioned to paint more than two hundred life-size Oor Wullie sculptures in every possible design you could imagine – and some that you couldn’t! Funds raised through the trail will support The ARCHIE Foundation, Glasgow Children’s Hospital Charity and Edinburgh Children’s Hospital Charity, helping children in hospital across the country. Oor Wullie’s BIG Bucket Trail is a Wild in Art event, and would not be possible without the support of DC Thomson Media.